STICKEN with Steve likes his #democracysausage with tomato sauce and mustard. Hip Hop Opotamus likes a fair shake of tomato sauce and absolutely no greens with his. Ice T-im is the only outlier on who is the best Batman - claiming Adam West nails the role, while Aunty Stacia sides with the other rappers and agrees Christian Bale. Robbie Katter nails question 10 - ducks are terrifying. And help us all if Tim Nicholls is right and Shane Warne is the next Bachelor. Below you'll find some useless pop culture and lifestyle trivia posed to Queensland's leaders in the middle of a serious election campaign. Scoff if you must, but these responses help reveal whether the wannabe leaders #slay - young person speak for crush it. Enjoy. 1. Taylor Swift or Katy Perry? Labor leader Annastacia Palaszczuk: Hard choice. Dami Im went to school in Brisbane and represented Australia at Eurovision. Beautiful voice. LNP leader Tim Nicholls: Tay Tay. One Nation state leader Steve Dickson: Katy Perry. Katter's Australian Party state leader Robbie Katter: Wendy James from Transvision Vamp. Is she still around? 2. What emoji are you? 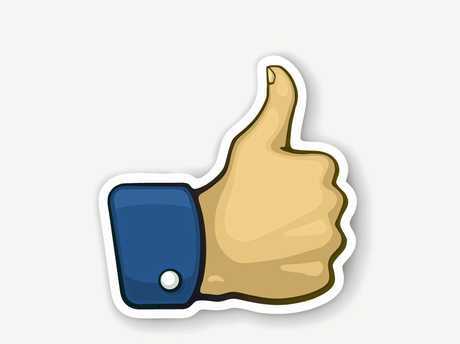 Palaszczuk: Thumbs up. It's positive and in the shape of Queensland. Dickson: The thumbs up emoji. Katter: Do I look like Julie Bishop? 3. How do you eat your democracy sausage? Palaszczuk: From the side on white bread with BBQ sauce. Nicholls: With tomato sauce and onion of course. Dickson: With tomato sauce and mustard. Katter: 100% beef with a fair shake of tomato sauce and absolutely no greens. 4. If you were a rapper, what would your name be? Palaszczuk: My nieces say "Aunty Stacia". 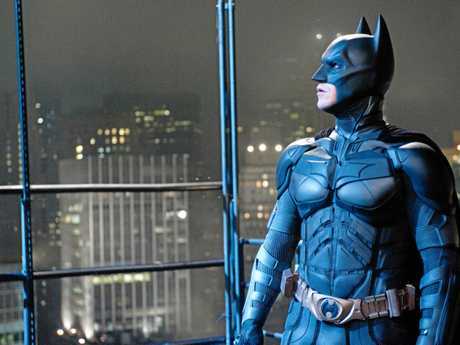 5. Who is the best Batman - Ben Affleck, Christian Bale, Michael Keaton or Adam West? Katter: Christian Bale (my wife made me say this). 6. Who will be the next Bachelor? Nicholls: I don't watch it, but I could imagine Warnie would be a hit. Dickson: Can't think of any single males who would line up for this! 7. What is the weirdest thing you've seen on the campaign trail? Palaszczuk: Nothing weird this election, so far so good. Dickson: Dook knocking (see picture). 8. Cam Smith or Jonathan Thurston? Palaszczuk: Johnathan Thurston. I've already told Cam Smith. Nicholls: I'm waiting for the "pick your favourite child" question. Smith by a nose. Katter: It would have to be the King of the North. 9. Round, V, or polo neck? Nicholls: Round - classic dad style. Katter: Round neck with a pack of cigarettes tucked in the sleeve. 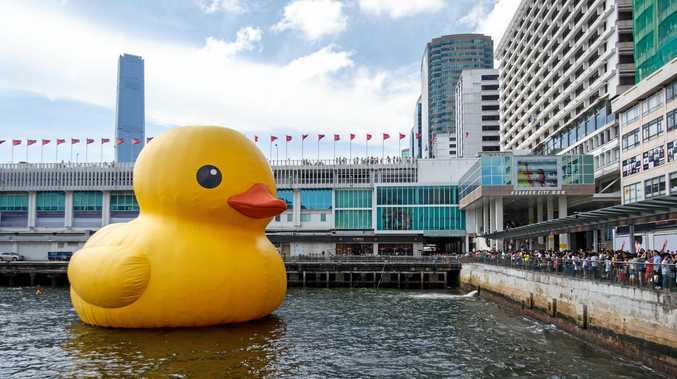 10. Who would win in a fight, one horse-sized duck, or 100 duck-sized horses? Katter: The duck - poultry scares me. I don't trust the way they move. Palaszczuk: Mr Nicholls has an easy-to-pronounce Christian name. 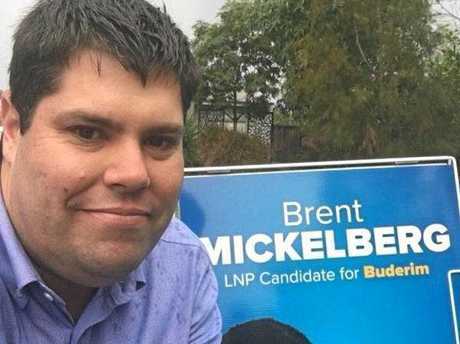 Nicholls: Annastacia Palaszczuk obviously loves her family. Dickson: Robbie Katter is a really nice bloke. Katter: Bob Katter, KAP Federal Leader - distant second-best performer in parliament of the Katter family.